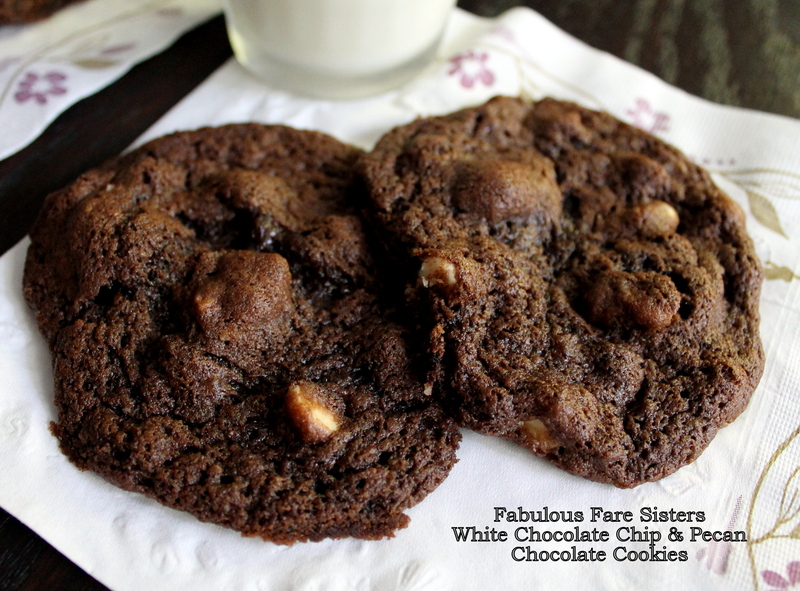 Here’s another tasty cookie to add to The Cookie Jar! 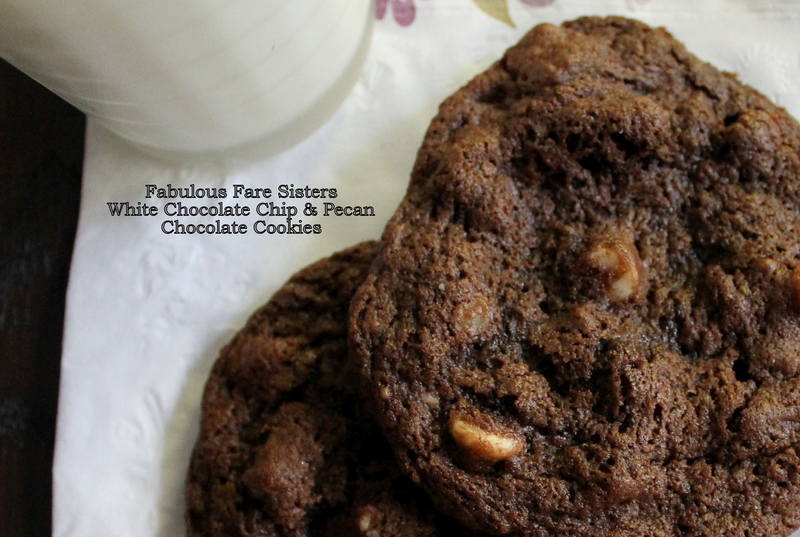 Yummy white chocolate and crunchy pecans served up in a tasty chocolate cookie…can I have one more…please! Heat oven to 350°F. In a large mixing bowl combine the butter, sugars and vanilla. With an electric mixer, blend until creamy (~ 2 minutes). Add the eggs. Blend for another minute. Combine the flour, baking cocoa, baking soda and salt. Slowly add to the sugar mixture and blend with the electric mixer between each addition. Blend until combined. Hand-stir in the white chocolate chips and chopped pecans. Prepare a cookie sheet with parchment paper. Drop the batter by rounded teaspoons onto cookie sheet approximately 2″ apart. Bake in heated oven 9-12 minutes until set. Remove from oven; cool slightly and serve. Makes approximately 36 cookies. These cookies look moist and delicious! I love that you used pecans in here too, they’re my favorite heehee! Great recipe Linda. Thanks for sharing. I am going to try this!!! 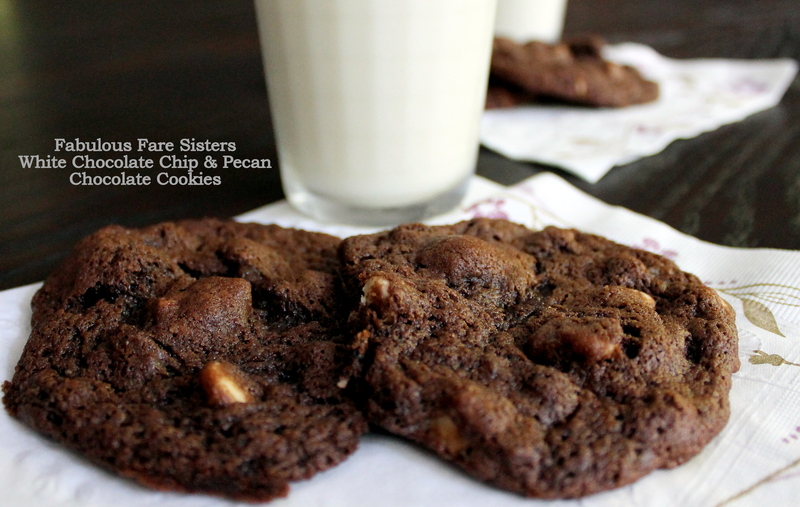 Yum pecans and chocolate! Two of my fav things in one cookie. Looks delicious.